Just because the cold weather has drawn the curtain on sunny skies why should we shut out the unique natural winter beauty from our homes? Windows and doors are responsible for most of a house’s heat loss so it is vital to the thermal insulation of a home that they be finished with good quality window treatments that can keep the cold out and the warmth in. Thankfully there are many attractive window treatments other than curtains. Wooden shutters and blinds are not only of the most stylish window treatments available they are also great thermal insulators. When opened, shutters and blinds capture as much of the winter sunshine during the day and when closed they work to keep that warmth locked inside. 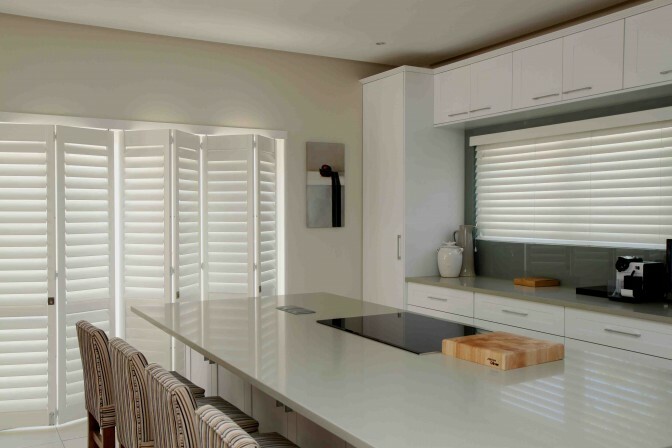 Seamless style with wooden shutters and blinds. 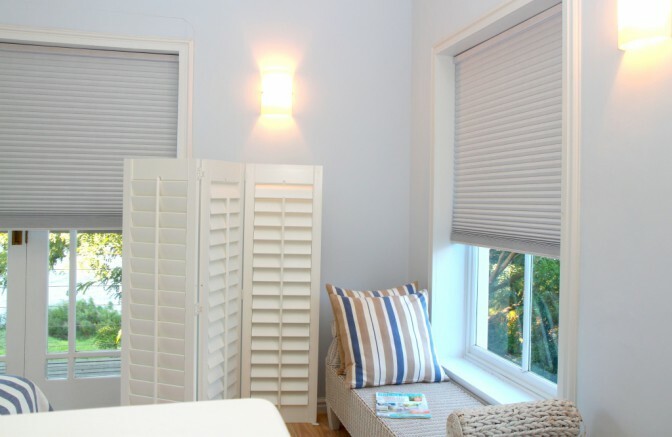 In addition to AMERICAN shutters’ extensive range of wooden shutters and blinds, we offer a wide range of honeycomb blinds often referred to as honeycomb blinds. These blinds trap air in the pleated compartments of two or more layers of material. This air then serves as a buffer preventing heat loss. “Our no-compromise commitment to offering our clients the highest level of customisation and choice is consistent across all our products. Our honeycomb blinds come in a myriad colours and styles; from cord to cordless, single to double layer, translucent to block-out,” says Karina. 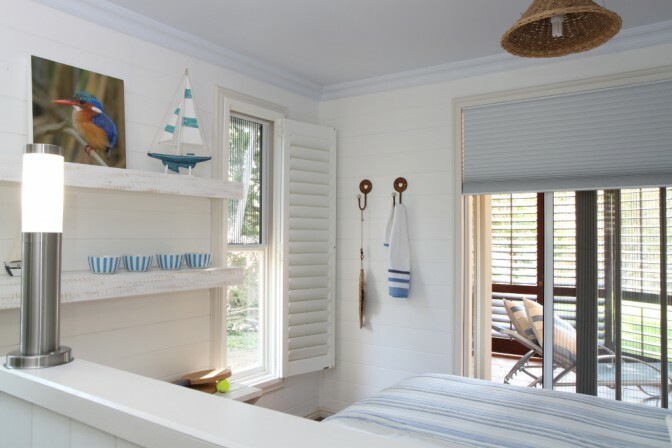 honeycomb blinds keep this riverside holiday home comfortable in winter and summer. Comfortable in mixed company, honeycomb blinds complement wooden shutters and blinds seamlessly. Ideal for use in bedrooms their excellent thermal insulation ensures a comfortable night’s sleep. honeycomb blinds, shutters and insect screens protect this bedroom from the cold and the nasty bugs. Ensure that your home is both stylish and warm this winter because just as Margaret Whiting, Doris Day, Ella Fitzgerald and Jennifer Hudson all succumbed to the gentlemanly invitation in lyric, so will your friends and family find it hard to say no to a ‘welcome … so nice and warm’.